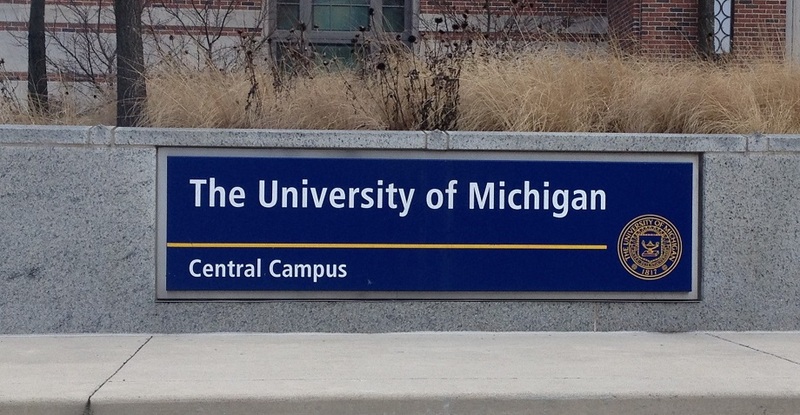 Officials at the University of Michigan announced last week that the school will spend an additional $85 million over the next five years to promote diversity and inclusivity on its campuses. According to an online announcement by Jeremy Allen of the university's public affairs office, the university currently spends $40 million each year to promote diversity. Roughly $31 million of the new spending will be paid from the university’s general fund, most of which comes from tuition and fees paid by students and appropriations granted by state lawmakers. The rest will come from private donors, returns on university investments proceeds and other sources, according to U-M officials. Earlier this year university officials increased tuition by 3.9 percent for in-state undergraduates at the Ann Arbor campus. This is more than double the rate of inflation, as well as the rate of increase lawmakers granted in appropriations for the Ann Arbor campus. When the Flint and Dearborn campuses are included, U-M will receive $355.9 million in state appropriations for the current fiscal year, more than any other state university. The university’s increased diversity spending will pay for new programs and surveys. The plan will also use measurements and reports to track the programs, and existing diversity projects will continue, such as scholarships and a new $10 million Trotter Multicultural Center. A “microaggression” refers to an intentional or unintentional slight a non-minority person makes to a minority person which displays the offending person’s inherent bias. The plan will also create a new full-time administrative position – titled a vice provost for equity and inclusion and chief diversity officer (VPEI-CDO) – which “will serve as a leadership voice on diversity, equity and inclusion for the entire university.” The person who holds that position will also implement the plan. University President Mark Schlissel has nominated Robert Sellers to be the university's first chief diversity officer. Sellers currently serves as vice provost for diversity, equity and academic affairs. Sellers, who as a U-M student in the late 1980s was a member of the progressive group United Coalition Against Racism (UCAR), was paid nearly $350,000 in his current position in 2014-15, the same year the position was created. The new position will be an additional responsibility for Sellers, U-M Spokesman Rick Fitzgerald said in an email. Sellers’ new salary cannot be confirmed until the appointment is approved by the Board of Regents on Oct. 20, Fitzgerald added. When Sellers was a graduate student in 1987, UCAR protested the university’s choice of CBS journalist and alumnus Mike Wallace to be a commencement speaker, based on claims that he made racist statements. Ashley Thorne, the executive director of the National Association of Scholars, which promotes liberal arts education and academic freedom, condemned the new diversity initiative. “This is a poor choice of stewardship by the University of Michigan of the tax dollars and tuition entrusted to it by the citizens of Michigan. It appears to be an attempt to appease protesters rather than an effort to unite the campus around the shared purpose of the pursuit of knowledge,” she said. The new initiative was spurred, in part, by campus protests in 2014. Black student movements and the #BBUM campaign (Being Black at Michigan) sought to address what they called a lack of ethnic diversity on campus by threatening “physical action” and issuing a list of demands for the university. The announcement of the initiative follows a report two weeks ago of a new online student portal that allows students to report their preferred gender pronouns so faculty and staff can use these them when addressing each student. Schlissel continued, “Our dedication to academic excellence for the public good is inseparable from our commitment to diversity, equity and inclusion. We cannot be excellent without being diverse in the broadest sense of that word."